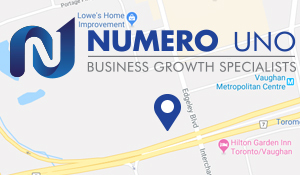 Numero Uno Web Solutions (www.NumeroUnoWeb.com), a fast-growing Internet marketing firm that caters to medium- and large-size B2B and B2C companies, is pleased to announce the hiring of Loren Tolman as Account Executive. As Account Executive, Tolman is responsible for developing new business partnerships with business-to-business and business-to-consumer brands that are seeking cost-effective, highly responsive, unique, web marketing campaigns. Tolman, who hails from Beverly Hills, joins Numero Uno Web Solutions with over a decade of experience in sales, marketing, and digital media experience. Most recently, Tolman was an International Sales Manager with a leading architectural services sector company. Before that, he was a Training Co-ordinator for an international personal care company, and prior to that, a Sales Executive with one of the world’s largest consumer goods companies.